A minister of Mayawati's party has stepped down from the cabinet of HD Kumaraswamy in Karnataka, where the Bahujan Samaj Party has an alliance with the Janata Dal Secular and the Congress. 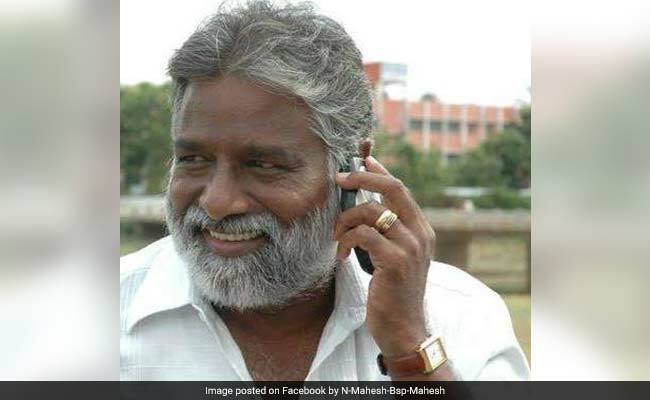 N Mahesh, who held the Primary Education portfolio, cited "personal reasons" for his resignation and admitted that he has not consulted Mayawati before taking the step. "I am resigning my post as cabinet minister but continue as an MLA and I support the JDS and Kumaraswamy... I want to concentrate on my constituency," Mr Mahesh said. The minister's move came days after Ms Mayawati -- who has a big support base among the Scheduled Caste population in the north -- announced that she would not ally with the Congress for the assembly elections in Madhya Pradesh and Rajasthan. Ms Mayawati or her party is yet to comment on the minister's resignation. Chief Minister Kumaraswamy, however, said it was an "internal decision" of the party. "I don't know why he has taken that kind of decision. But I am in contact with them, I will sort it out," he added. Ms Mayawati had formed the alliance with Mr Kumaraswamy before the assembly elections held in May. The Congress walked in much later, on the day of the counting, when it became obvious that the BJP will emerge as the single largest party but fall short of majority. Mr Mahesh assured reporters that his party will remain in the alliance and that he would continue to campaign in favour of the JDS in the coming by-elections in Mandya and Ramnagar. The former bureaucrat was given the cabinet post after Mayawati's aides reached out to Mr Kumaraswamy and the Congress after the elections. It was expected that his elevation will help Mayawati increase influence among the Scheduled Caste members in the state, who comprise 20 per cent of its population. Last week, after weeks of negotiations over seat sharing in Rajasthan and Madhya Pradesh, Ms Mayawati announced that she would not have a deal with the Congress in the two states "at any cost". She, however, left the door open for an alliance during next year's Lok Sabha elections, reposing faith in Rahul and Sonia Gandhi. Within days, her ally in Uttar Pradesh, Samajwadi Party chief Akhilesh Yadav also snubbed the Congress, saying they have "waited too long" for the Congress and announcing a list of six candidates for Madhya Pradesh.